Video is now available of the New York Technology Council and Internet Society New York Chapter (ISOC-NY) joint event “New Techniques for Protecting Cloud Data and Security” on Jan 5 2012. Shai Halevi, Cryptography Researcher, IBM – Since 1997 Shai has been a research staff member in the Cryptography group at IBM T.J. Watson Research Center. 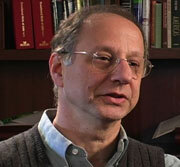 Shai is a board member of the International Association for Cryptologic Research and an editor in ACM TISSEC. He was an editor of the proceedings of CRYPTO in 2009, and co-editor of the proceedings of the Theory of Cryptography Conference in 2006. Shai has a PhD in Computer Science from MIT. Michiel de Jong, Founder & Lead Developer, Unhosted.org – Michiel de Jong studied Computer Science at Leiden University before working as a researcher and web technology engineer in several European countries. Last year he took a three month sabbatical on tropical island Bali, to work on a hobby project. The result became known as the Unhosted project and quickly gained a lot of momentum in the free software community. This way, what started as a programming holiday, turned into a full-time occupation for him. David Solomonoff is the President of the Internet Society of New York (ISOC- NY), a chapter of the global Internet Society (ISOC). Josephine Dorado is a virtual worlds and online community consultant, educator, interactive events producer and skydiver. She was a Fulbright scholarship recipient and initiated the Kidz Connect program, which connects youth internationally via creative collaboration and theatrical performance in virtual worlds. Josephine also received a MacArthur Foundation award to co-found Fractor.org, which matches news with opportunities for activism. She currently teaches at the New School and is the live events producer for This Spartan Life, a talk show inside the video game Halo. Carol Parkinson is the Executive Director of Harvestworks and has been involved in the programming and development of the organization since 1982. She is a founding member of TELLUS, the experimental audio series and continues to support and distribute experimental and innovative work in the digital media arts. Her primary interest is the development of new technological tools for art-making and the cultivation of a new aesthetic involving sound and image in the electronic arts. Aram Sinnreich is an assistant professor at Rutgers University’s School of Communication and Information, and the author of the recent book “Mashed Up: Music, Technology and the Rise of Configurable Culture.” He has written about music, media and technology for The New York Times, Billboard, and Wired, has testified as an expert witness in several cases including the Supreme Court file sharing suit MGM vs. Grokster, and has offered his expertise as an analyst and consultant to hundreds of companies, from the Fortune 500 to fledgling startups, since 1997. Jeremy Pesner graduated from Dickinson College in 2009 with a BS in Computer Science. He is very curious about the digital landscape and the elements shaping its future. His interests and prior work include educational gaming, website design, tech policy, government 2.0, and cloud computing. He will be attending Georgetown University this fall in the Communication, Culture & Technology program. Mike Goodman, aka Invaderbacca, has been creating visualizations and hacking video games within the chip music community for several years. He has developed a novel glove interface for manipulating video signals in real time. He has performed at venues including Blip Festival, Pulsewave, I/O Chip Shows and the Engadget Show. Please note that Hilary Mason (advertised earlier) will not be able to attend due to another commitment. We apologize for any confusion and look forward to seeing Hilary at a future event. Aram’s segment is missing – that’ll be up as soon as the video is edited. The New York Law School Institute for Information Law & Policy is holding a discussion with NYLS Alum, Claude Aiken ’08, about his role at the FCC. Mr. Aiken is Legal Counsel to the Senior Advisor to the Chairman on Broadband at the FCC, where he advises the Chairman’s office on issues relating to the National Broadband Plan. Prior to this, he was an Honors Program Attorney in the Wireline Competition Bureau where he focused on broadband competition and universal service issues. He also serves as a board member and general counsel for 100cameras, Inc., a non-profit that uses photography to help underprivileged youth. When: Monday, November 15, 2010 12:30 p.m. – 2:00 p.m. The Open Hardware Summit will be a venue to present, promote and discuss the undergoing open source hardware movement. The summit will focus on hardware as a system, involving conversations on software, manufacturing, legal, and other factors surrounding open source hardware. It is taking place on September 23rd, at the New York Hall of Science – right before Maker Faire. The Open Hardware movement is engaged in nailing down the definition, currently OSHW v.0.3, of the term open source hardware and producing a real, and enforceable license, much like the Creative Commons License does for artistic creations and the GPL does for software. The 8th Hackers on Planet Earth Conference aka The Next HOPE Conference will take place at the Pennsylvania Hotel NYC on July 16-18 2010. Noel Hidalgo will be presenting a public discussion “In Code We Trust” at Eyebeam NYC this Thursday July 1 2010. A live video stream is promised. “In Code We Trust” is the new motto for Government in the 21st century. Across the country, geeks inside and outside of government are developing a new participatory and transparent Federal, State and Municipal governments. Built upon open-source tools, open standards, and best practices, this panel will highlight authorized actors as they practical examples of initiatives from private, public and government sectors. challenge that would be great to have your input on. The Communication, Culture and Technology Program at Georgetown University held a symposium The Crowd and the Cloud: Innovation, Collaboration, and the Next Phase of Computing today. The full day symposium explored how new developments in information technology and communications are enabling innovation to occur online, across national, corporate, and organizational boundaries. On Saturday April 17 Rhizome presents Seven on Seven, a new initiative connecting art and new technology. Seven on Seven will pair seven leading artists with seven game-changing technologists in teams of two, and challenge them to develop something new –be it an application, social media, artwork, product, or whatever they imagine– over the course of a single day. The seven teams will unveil their ideas at a one-day event at the New Museum. Seven on Seven technologists are Ayah Bdeir, David Karp, Jeff Hammerbacher, Andrew Kortina, Hilary Mason, Matt Mullenweg and Joshua Schachter. Seven on Seven artists are Tauba Auerbach, Cao Fei, Aaron Koblin, Monica Narula, Marc Andre Robinson, Evan Roth, and Ryan Trecartin. Tickets $350 (Students $75) via Eventbrite. FAILfaire features projects using mobiles and ICTs in international development that have, to put it simply, been a #FAIL. Busted, kaputt. Tongue firmly in cheek, we take a close look at what didn’t work and why the projects failed amidst the ICT4D hype we all are subjected to (and sometimes contributors to). We believe that only if we understand what DOESN’T WORK in this field and stop pushing our failures under the rug, can we collectively learn and get better, more effective, and have greater impact as we go forward. The inaugural FAILfaire will be held in New York City on April 14th, 2010 from 5:00-7:30 pm. We are very grateful to The Open Planning Project (TOPP) for hosting us in their beautiful SoHo loft space. Please register here! We all know that IPv6 is something that needs to be done and adopted. There is a lot of advocacy in the Internet community on IPv6 but what are web application companies doing about moving to IPv6? Is there a need for greater resources in the community to enable IPv6 applications? The San Francisco Bay area chapter is organizing a panel of experts to present on IPv6 implementation experiences in Silicon Valley. Registration is free but due to limited seating pre-registration is required by May 7th 2010. A beer bash will be held at the end of this event. Panel members are from Hurricane Electric, ARIN and Microsoft, Netflix. More speakers are anticipated. If you pay the suggested donation of $10 or more, you will be let in first upon presenting your tickets at the door. You must arrive by 7 PM to be guaranteed a spot. If you purchase a VIP seat for $40, you will get to sit in one of two “pods” directly in front of the stage. Those who do not pay $10 or more will be on standby and will be let in at 7:20 PM upon availability. The Open NY Summit will be the first of many events produced by open government practitioners and volunteers. The goal of this first event is to bring new ideas and voices into the conversation, and to inspire new initiatives and innovations.